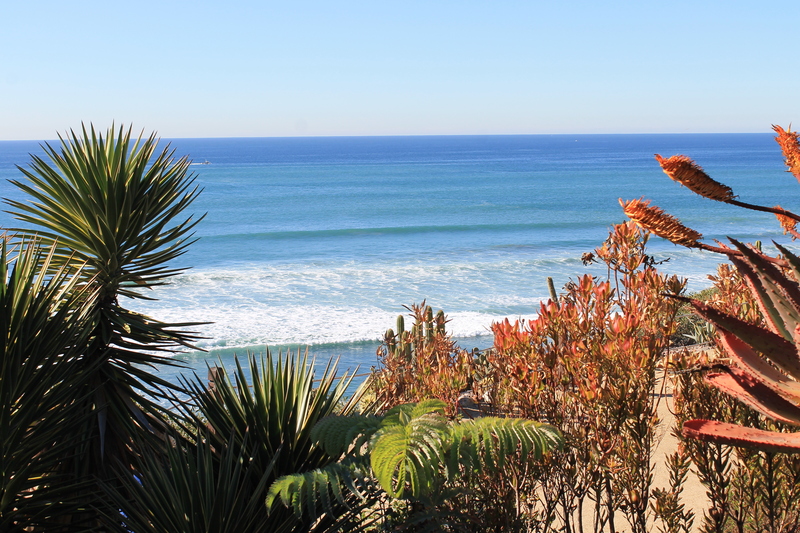 Encinitas is one of the best communities to live, work, and play in. From young professionals to growing families, Encinitas is the beach community that has it all. This beach side town nestled in the bluffs and rolling hills of North County San Diego offers residents access to award winning schools and several outdoor recreational areas. You can spend your time in the bustling downtown with local shops, gourmet restaurants, and local breweries. Or pack your surfboard and beach bag to visit any of the amazing beaches that dot the coastline such as Swami’s Beach, Cardiff Reef and Moonlight Beach to name a few. Choosing an Encinitas neighborhood to live in may prove difficult, as each section of this community provides opportunities and benefits to the residents. Some popular communities include: Encinitas Ranch with large track homes with ocean views built along Encinitas Ranch Golf Course. Cardiff By The Sea is a beach side community within Encinitas that offers beautiful custom built homes, ocean views, and access to world class surf. Olivenhain is another community set more East in the quiet hills with larger lots and many ranch style homes. The City of Encinitas provides those that live here diverse home options with miles of sandy beaches and year round sunny days. Stunning, turn-key end unit in Seagate Village. This newly remodeled 3B/2.5BA home is accented with one of a kind touches throughout that greatly enhance the open and flowing floor plan. Upon entering the home, you are greeted with an exquisite staircase and entertainer’s dream kitchen, complete with state-of-the-art appliances. The serene back yard, accessible via both the family room and formal living room adds to this home’s beauty and charm. Move-in ready! PANORAMIC OCEAN VIEWS: CARDIFF WALKING DISTRICT! OCEAN VIEWS FROM LIVING ROOM/ KITCHEN/ DINING ROOM/ AND MASTER BEDROOM....WALK to BEACH and RESTAURANTS! (FYI-THIS HOME ON THE WEST SIDE OF OXFORD!) UPSIDE:OPPORTUNITY to covert downstairs into a cash flow rental! Built in 2005, this home features Brazilian cherry floors; new kitchen with SS and granite;completely remodeled master BR with huge walk-in closet; many outdoor spaces; and custom storage in 2-car garage. And all of this comes with solar panels! Rancho de las Espadas! Extremely eclectic home sits proudly atop the hill with fabulous full ocean view on large .76-acre lot. This home is being offered with adjoining .23-acre site bordering the home to the West. Both sites offer tons of potential to develop or build your own private retreat. Main house has open beam ceilings, skylit sitting room/art studio & den. Plenty of space for a pool, play area or gardens. Bring your imagination and transform this fabulous property into your own statement home. Spectacular West of 5 Cardiff home, recently refreshed with new wood floors, remodeled kitchen and bathrooms. Marble countertops, farmhouse sink with new appliances. 4 large bedrooms with an auxiliary unit upstairs with full bath, walk in closet and kitchen area. Minutes from the beach and Encinitas Community park. Best Deal west of the 5. Perfectly situated on a cul-de-sac, enjoy panoramic ocean views & beautiful sunsets almost daily here in this Encinitas Ranch home. This custom remodeled home was finished with style & sophistication and features over 4300 sq ft open flowing floor plan, there are 5 bedrooms plus a bonus/game room, and 4.5 remodeled baths. You're going to love entertaining with this dream kitchen with its closely attached courtyard, be ready to create some memorable experiences with your family and friends. A wonderful Cardiff home with ocean & lagoon views. An open concept layout greets with white oak hardwood. 3 Haiku Natural wind ceiling fans, 2 JBL wall speakers. Master bedroom with remodeled bath and jetted tub. Landscaped paver stone retaining wall and private fenced backyard. A large 2 car garage with abundant storage, tank-less hot water heater. Own your detached single family home so close to Del Mar Racetrack, Solano Beach, Cedros Design District, Surfrider Train, walking trails, and I-5. Single-story Coastal Farmhouse located WEST of 5. Open floorpan, high-end appliances like Wolf range, marble counters, custom barnwood backsplash, bar with wine fridge. Shiplap entertainment wall with built-in shelves and drawers, tons of storage. Two pantries! Quiet and private backyard w/ gas fire pit and pool-size lawn, plenty of entertaining space. Custom new construction (3 years in the making) ocean view on Encinitas' best street where vacant lots sell for $2.5M!! This mostly Single level Modern Farmhouse is on an elevated private flag lot boasting an innovative architectural design & a large private yard with room for a pool. Separate master suite, gym, media/play room, covered dining patios, multiple fireplaces, & a showroom kitchen. The kind of exquisite materials & coastal design elements you've come to expect from custom DG Design & Build. ENTERTAINER’S AND PLANT LOVER’S OASIS! 2 BD/2 BA in Encinitas Estates, situated on a 9,000+ sqft private lot, on a quiet Cul de Sac. Perfect as is or build up. No HOA or Mello Roos! Relax inside the huge family room by the fireplace. Entertain outside in 3 different areas: 1) Stand alone covered Cantina equipped with stainless steel barbeque and TV, 2) covered patio, and 3) 2nd patio with fireplace and 5 rack smoker. Only 2 miles from Moonlight Beach. Near schools and shopping, yet quiet and private! Based on information from California Regional Multiple Listing Service, Inc. as of April 22, 2019 19:07 and/or other sources. All data, including all measurements and calculations of area, is obtained from various sources and has not been, and will not be, verified by broker or MLS. All information should be independently reviewed and verified for accuracy. Properties may or may not be listed by the office/agent presenting the information.